Ready to get out on the Gold Coast Broadwater, the Tweed River, or through the myriad of canals connecting the region's rivers and seaways in a new boat, yacht or jet ski? Stop dreaming, and start planning your boating weekends now! If you're looking for marine finance on the Gold Coast, we will work to get you the best and lowest possible rate so you can get out on the water with a minimum of fuss. Yes, we can provide financing for new and used boats and can help you with all the necessary details to finalise the loan. If you're purchasing from a boat dealer on the Gold Coast we can organise the finance as well as how the deal comes together. We can also help to organise a boat loan for private sales and facilitate that process so that all parties are taken care of. Secured or Unsecured Boat Finance? 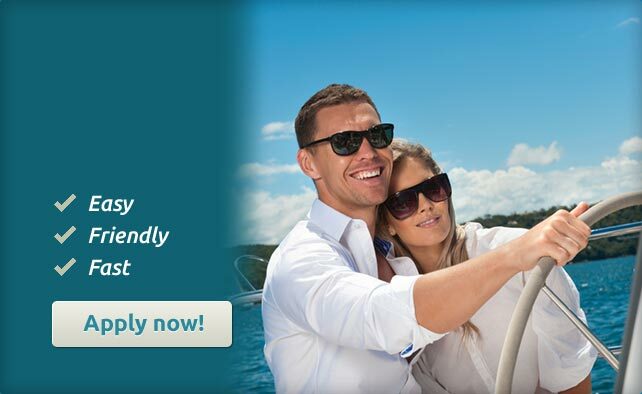 We usually organise secured boat loans for our clients as this is what most people on the Gold Coast come to us for. However, on the rare occasion, we can try to organise an unsecured boat financing, but this may mean a higher interest rate than secured finance and in certain areas, we can't provide this type of loan. Do You Offer Balloon Payments? A balloon payment is where you choose to pay a "final payment" of a certain sum which effectively reduces your loan repayment for the life of the loan. When you reach the end of the loan period the "balloon amount" falls due and you can either pay it or refinance the boat loan and continue to pay the "balloon amount" off. A handy interactive maps of fishing spots around the Gold Coast.